The goal of a management audit is to identify your internal blind spots - the risks the organization is incurring due to gaps in day-to-day operations. It's more commonly practiced within the corporate world, but non-profits are especially at risk for unknown weaknesses. Passionate, well-meaning people found beautifully optimistic nonprofits everyday. There is a notion that a running a "charity" will be nothing like running a business; nowhere near as difficult. While most fail quickly, many nonprofits make it past infancy to the point of acquiring space, allocating a stable salary for the founder-turned-Executive Director, and hiring a few staff members. This is the next major fail point. The compliance requirements, reporting, paperwork, payroll taxes, liability insurance, property tax exemption declarations, sales tax reimbursement requests, charitable solicitation permits, business licenses, accounting systems, spreadsheets, meetings, and much more aren't what the founder envisioned. Without experience, it's nearly impossible to recognize which puzzle pieces are missing and which will cause you the greatest grief. This is where the management audit comes in. A professional management audit should be conducted by a consulting firm so as to provide objectivity and hopefully some resource-saving expertise. But organizations of all sizes should engage in regular, internal management reviews to continuously build an infrastructure that is sustainable and protect your 501c3 status. *Disclaimer: I primarily work with nonprofits located in my own state. Some of the identified requirements or permits are exclusive to Utah. Often times, figuring out exactly what is causing the ceiling on your efforts is part of the mystery. However, I often encounter passionate executives who are know they are missing these pieces, but they just don't have that expertise. This is especially true in the nonprofit sector where founders become CEOs without much formal training on the dark side of organizational leadership: spreadsheets, paperwork, and compliance. 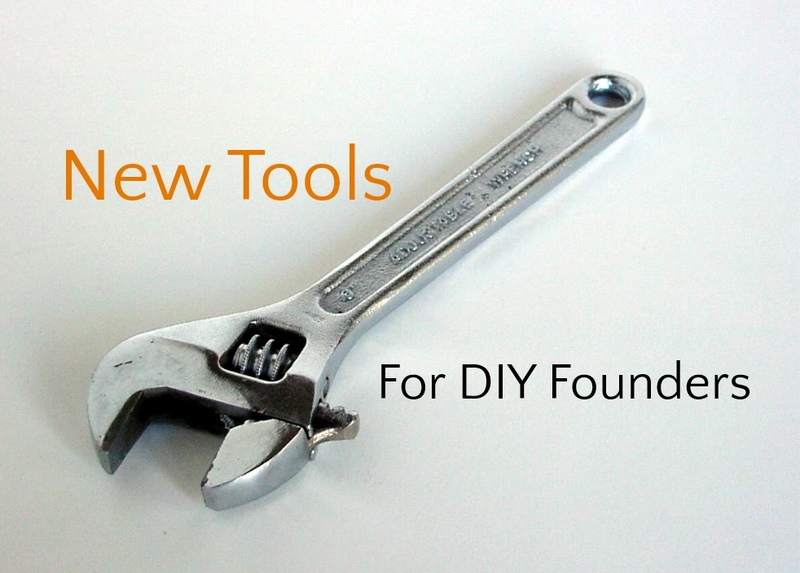 This is why I'm launching affordable toolkits for the Do-It-Yourself founders out there. Reinventing the wheel is time expensive and often results in subpar outcomes, but hiring the expertise is often cost-prohibitive, even under a temporary consulting agreement. Instead of paying $300-500 for someone like me to commute, meet you face-to-face, and develop an annual budget, simply throw your figures into a spreadsheet and exchange it for a professional workbook containing your annual budget and variance reports, automatically calculated based on your actual results during the year. All for a flat, affordable fee and in just a couple days. Already have a decent grip on your budget, but need to convert it to a format that will help you track revenue and expenses easily and present professional reports to your Board? Simply download the DIY Budget template. Virtual Budget Prep, the DIY Budget Template, and the DIY HR Toolkit are all available now. More products are on the way, including starter policy and procedure, an earned income for nonprofits workbook, and a financial controls toolkit. Be sure you're on the mailing list to get the latest product updates. Growing your organization shouldn't mean late nights pouring over IRS publications or scouring an Excel spreadsheet for the broken formula. You have better things to do to advance your mission. Last Friday, the Community Foundation of Utah held their first annual Social Investors Forum, Shark Tank-style. They solicited both for-profits and nonprofits through a call for investments, narrowed the 150 applicants down to six, and then invited them to pitch in front of the judges, investors, and an audience...on Valentine's Day. Startup founders are well-versed in the pitch and many begin honing and refining their public speaking skills and story long before they are served up to the sharks. But, nonprofits haven't frequently been put through a publicized pitch event. Most fundraising goes on behind closed doors with grant applications or donation request letters. Pitch-style events probably aren't going away. More and more large donors are starting to see themselves as investors and some are even looking for actual returns by investing in debt opportunities or for-profit social ventures. The opportunity to have a dialogue with the organizations you're considering is invaluable. While it might be terrifying for introverted mission warriors to share their message from a stage, the platform has its benefits and, if harnessed, can stir up new donors, patrons, and supporters. It's time to embrace the pitch. 1. Know your audience. Find out exactly who you will be pitching to. If they're traditional foundation directors, then stories about community impact will probably be critical. If the judges are potential investors or from the business community (as with most boards), they will want hard numbers and evidence that you know how to run your organization like a well-oiled machine. 2. Tell a story. It's critical that your audience connects with the application of what you do. We all too often rely on statistics, which are not only boring, they depersonalize the very real experience of the people who make up those stats. A story can be delivered in about a minute and can start your presentation off with a clear understanding of the why and the what, before you launch into the details. One of the groups on Friday was looking for seed funding for a youth game development program, expanding on existing media training they do with kids. The program would only initially benefit 10 teens, a sticking point that the judges hit on. Had they started out with the vivid story of "David" who comes from a low-income family and got involved in a video production team in elementary school, advanced to additional media training in junior high, and then received a full-ride scholarship to the award-winning game design program at the University of Utah...and he also happens to volunteer as a mentor for the students in the program now...well that might have answered some of the skepticism around the impact the funding would have. 3. Start with why. We often get stuck in the what too often. Start off in the why. Why does your organization exist and why are you uniquely qualified to deliver the solution you are presenting. The why can often be delivered succinctly in your story, just make sure you make a clear and compelling case for why your organization or project is needed. 4. Demonstrate optimistic confidence. Ever get irked when your kids whine about having nothing to do rather than coming up with an idea? The same reaction holds true for nonprofits, yet many of us still go to funders with a big whiny, statement about how hard things are. Would you invest in someone who comes to you for all the answers, or would you invest in their competitor who is coming up with the solutions? If you're particularly resilient - brag about it. "Yes, we had a $20K funding cut from our government contract, but we immediately came up with several alternative funding solutions and then launched a social enterprise to bring in sustainable, ongoing funding while training our clients in marketable skills!" 5. Answer their biggest questions. By knowing your audience, you should be able to anticipate what questions they will be asking and what doubts they will have about you, your organization, and your project. If you can fill in the blanks before the Q&A, you'll invoke more confidence. Try out your pitch on someone who knows nothing about your project and have them grill you afterward to help you refine your content. 6. Demonstrate competence. While this shouldn't be a show about how great you are, you should quickly shore up any doubts about your ability to perform by documenting your team's credentials and a few examples of prior successes. Funders recognize that they are investing in people, not just a good idea. 7. Plan for sustainability. If you don't have some form of earned income or a sustainability plan, you are limiting your funding opportunities and losing ground. Highlight how you will leverage funding to create long-term impact, as well as how you plan to maintain funding for the project. A bicycle collective that pitched on Friday rightly bragged about the fact that 90% of their revenue is self-generated through tune-ups, repairs, and sales. 8. Storyboard it. When you have identified the main components, draw out your presentation from start to finish, ensuring that you have a powerful opening and an equally compelling closing, with a logical sequence in between. Remember that even presentations need white space - if your script has you rushing to keep it to 10-minutes - make some strategic edits to deliver the information more succinctly. Tip: Your slides can help deliver content that you can't fit into the script. 9. Be creative and engaging. You aren't the only team pitching and if folks wanted to simply read your slides, they would have had you send them in rather than having you pitch. Make eye contact, use your hands, stand up straight, and don't read your slides. Take the time to get creative about how you deliver your most important message so that it leaves a distinct impression. One of the presenters was pitching for funding for a fruitshare program. Instead of delivering statistics about how much fruit is wasted and how many people are going hungry, he started his pitch by handing out an apple to each judge. He then shared a powerful statement about how those delicious-looking apples traveled more than 1500 miles and had likely lost half of their nutritional value. It was a simple, but smart attention-grabber that not only left an impression, it literally left an apple in front of the judges for the rest of the pitches. 10. Rehearse. Rehearse. Rehearse. Don't fly by the seat of your pants. You may know your organization inside and out, but a well-crafted and well-timed presentation will give a clear, aligned message from start to finish and demonstrate how motivated you are to secure funding for your cause. On a side note, if you're an introvert (like me), the more prepared you are, the more likely no one else will recognize that you are WAY out of your comfort zone. During the mingling on Friday, I heard too many presenters complain about how terrible they were or highlight the problems in their presentation. Nobody likes a self-deprecating complainer and it doesn't make any logical sense to draw attention to our mistakes, but for some reason we seek comfort in gouging ourselves before others can. Be cognizant of this and instead smile, accept the compliments graciously, and roll with the punches - even if you seriously fall on your face or your technology backfires.